Fat Burners for Weight Loss? Fat burners are weight loss supplements that are in huge demand these days for weight watchers; especially for those trying to lose weight and those who have failed after a few attempts. 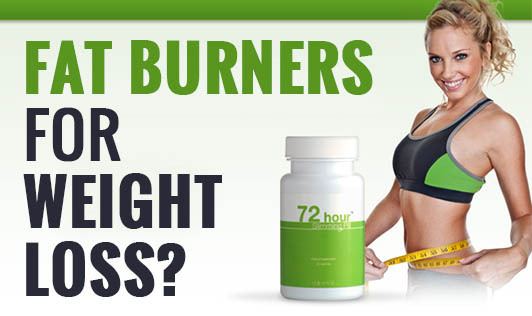 Fat burners are known as thermogenics. These are made of blends from herbs, enzymes and stimulants that increase body temperature and help burn calories during exercise. Some fat burners simply burn calories as heat. Studies have shown that fat burners stimulate the release of hormones adrenaline and cortisol, and hence, increase the metabolic rate. They also act as appetite suppressants and also increase anxiety. • Heart palpitations and accelerated heart rhythms are common side effects of fat burners. The FDA has released a warning message against 70 weight loss supplements that are potentially harmful and has serious side effects. • Those who take these supplements may experience a side effect called psychosis. They may experience severe anxiety, mood swings, distress and paranoia. Those under treatment for anxiety and depression must be cautious while using these supplements as they may prove to be extremely dangerous. • People with undiagnosed heart conditions, history of heart diseases and high blood pressure are at an elevated risk for serious side effects. In severe cases, it may also result in death. Though the results may be slow, a healthy balanced diet with a good exercise regimen is always safe and is the best recommendation for healthy weight loss. For best results, seek guidance from your nutritionist who will guide you towards safe weight loss.